From the pages of Doctor Strange...the Empirikul are waging a war on magic with the goal of wiping the fantastical from the pages of existence. 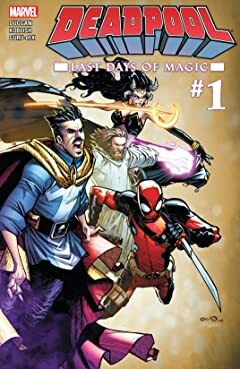 This concerns Deadpool, because some of his best friends are magic. 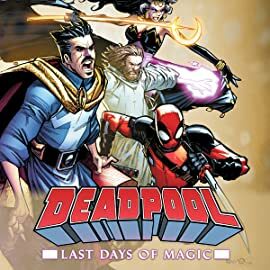 As the Empirikul forces batter the defenses of the Monster Metropolis ruled by his demonic wife, Deadpool wades into battle alongside his most spell-casting-est friends. And you know the old saying "Nothing ever goes wrong in a war." That's a saying, right?